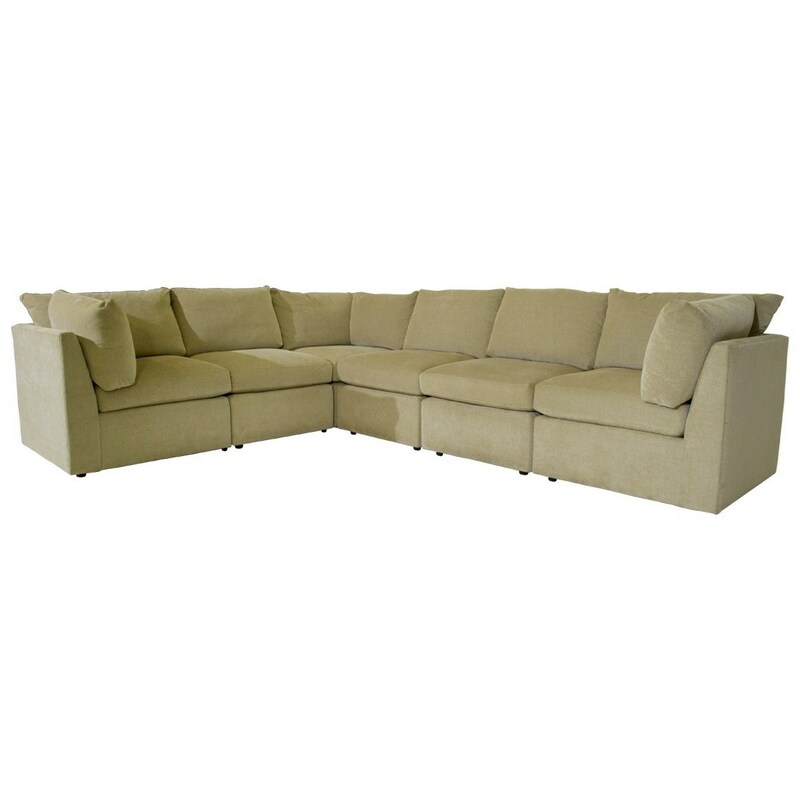 With simple lines and box edge seat cushions, this six piece sectional has a versatile look that's equally at home in a more transitional living room or casual family hangout space. Feather/down blend cushions promise comfort, while the spacious layout provides room for you and five of your closest friends and family to sit comfortably as you watch a movie or catch up late into the night. The 1057 Sectional by McCreary Modern at C. S. Wo & Sons California in the Southern California, Costa Mesa, Orange County, Long Beach, Anaheim, Los Angeles, South Coast Collection area. Product availability may vary. Contact us for the most current availability on this product. 607132529 Corner Unit 3 0" 0" 0"
Padding & Ergonomics #12 Feather/down blend.